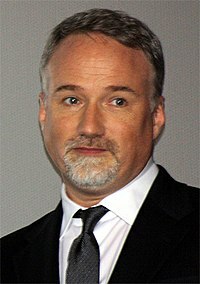 David Andrew Leo Fincher (born August 28, 1962) is an American director an producer, notably for films, televeesion series an muisic videos. He wis nominatit for the Academy Awaird for Best Director for The Curious Case of Benjamin Button (2008) an The Social Network (2010). He an aw directit Fight Club (1999). This page wis last eeditit on 5 Mey 2018, at 19:45.